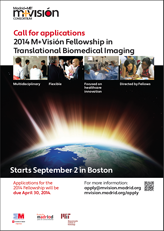 The M+Visión Fellowship in Translational Biomedical Imaging is a central pillar of this effort. A cohort of ten Fellows, exceptional talent from all over the world—engineers, physicians, scientists, and entrepreneurs who see the promise of biomedical imaging—will engage in structured learning experiences in Madrid and Boston and develop a research direction. After this initial development period, Fellows will conduct research projects—two years or more in duration—with the potential for global effect, using their Consortium network of academic, medical, industry and public leaders as mentors and springboards. Note that there are now 2 Fellowships available through the M+Visión Consortium: The 2014 Fellowship and the Advanced Fellowship. To be eligible for the 2014 Fellowship candidates must have an MD, PhD, or 5+ years of work past a Bachelor’s degree, experience in some aspect of biomedical imaging, and English fluency. 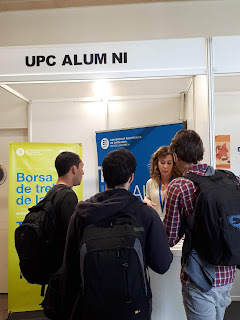 To be eligible for the Advanced Fellowship, candidates have: Doctorate or at least 4 years of full-time equivalent research experience, experience in some aspect of biomedical imaging, and English fluency. Further distinctions and requirements about the Advanced Fellowship will be announced in early 2014.